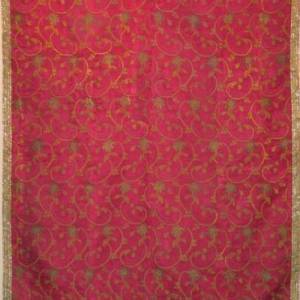 18th century French raspberry colored silk and gold brocade. 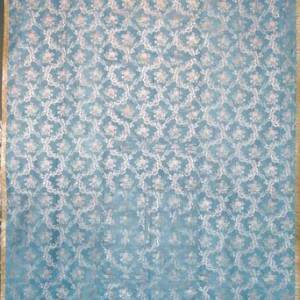 Circa 1780 French blue silk brocade cover with a floral lace meander. 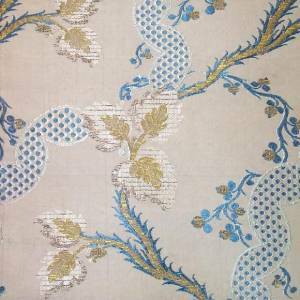 French Louis XVI period bed cover. 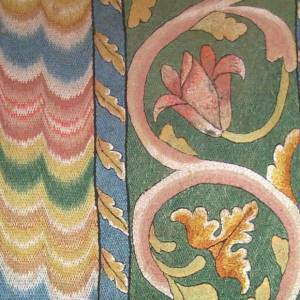 Italian 17th century bargello needlepoint table carpet. 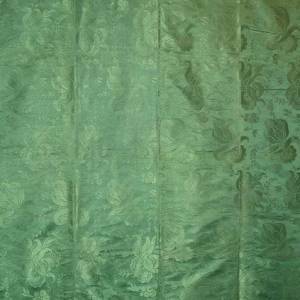 18th century Italian green silk damask. 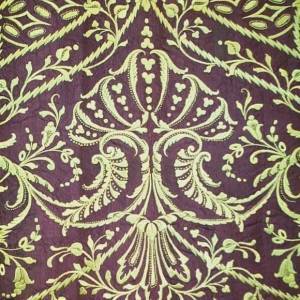 A pair of 18th century Italian panels embroidered in yellow silk. 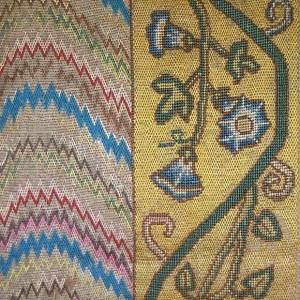 17th century Italian silk bargello (flame stitch) table cover.